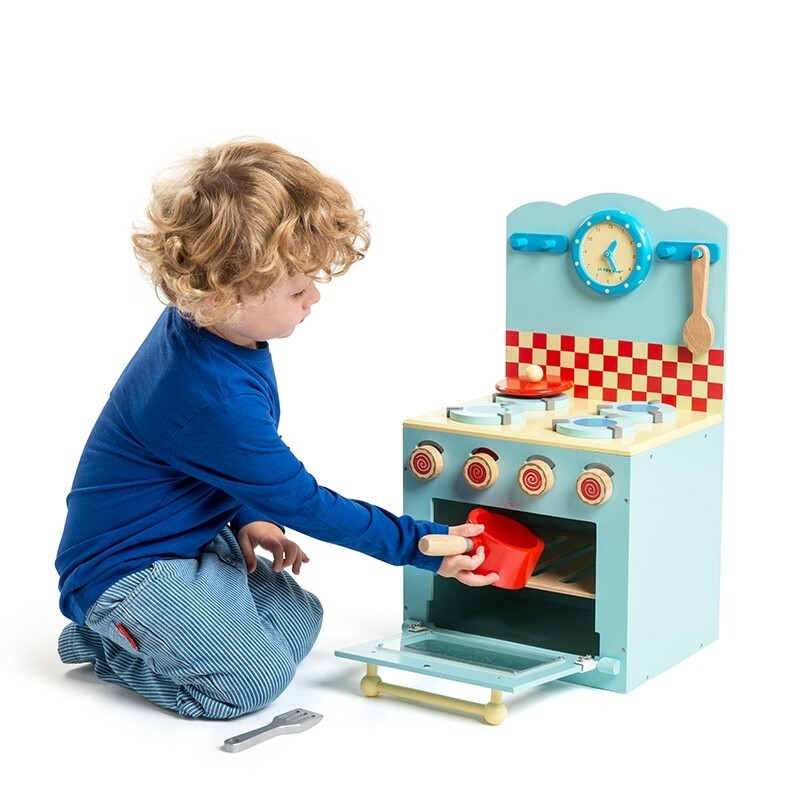 The Honeybake Oven and Hob set is a delightful play oven which has been specially designed to encourage imaginative play with a variety of bright play accessories and inspiring details. 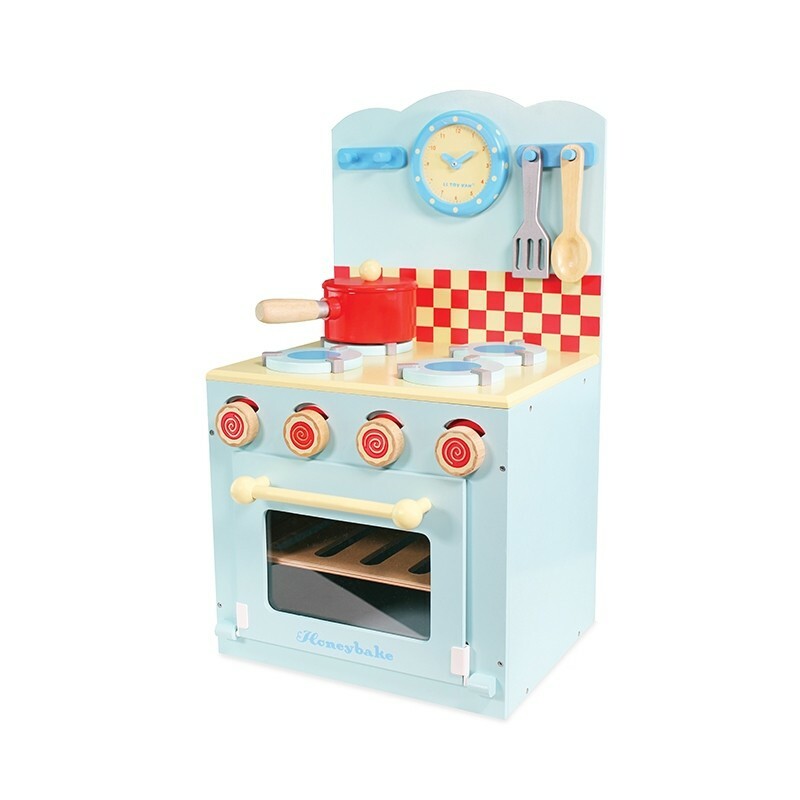 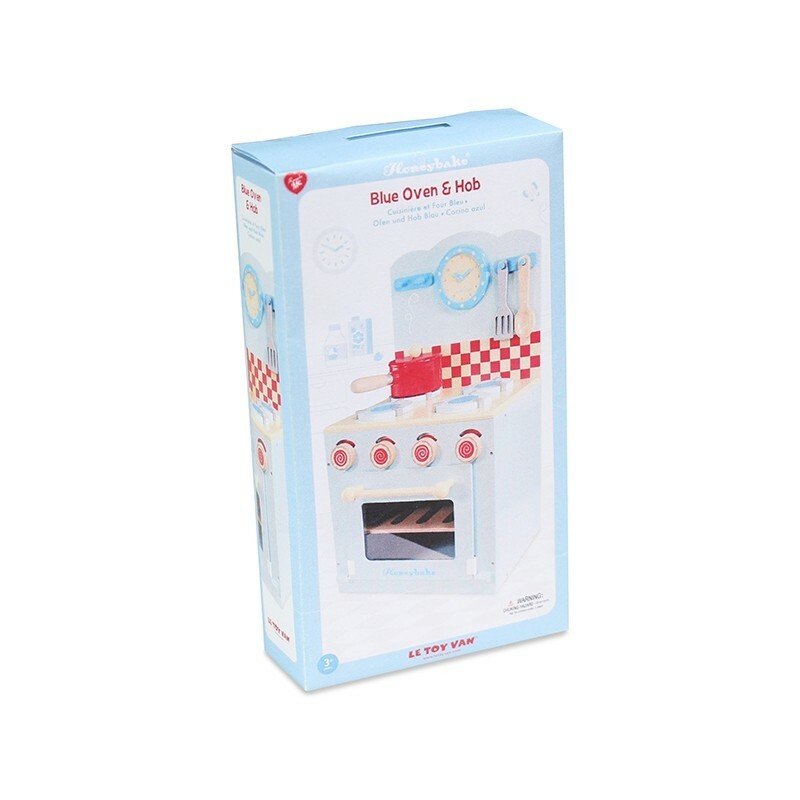 Features rustic dials that are easy to move and adjust the temperature, while the easy to open door is perfect for little hands, a clock with moving hands to set the cooking time, pot, spoon and spatula. 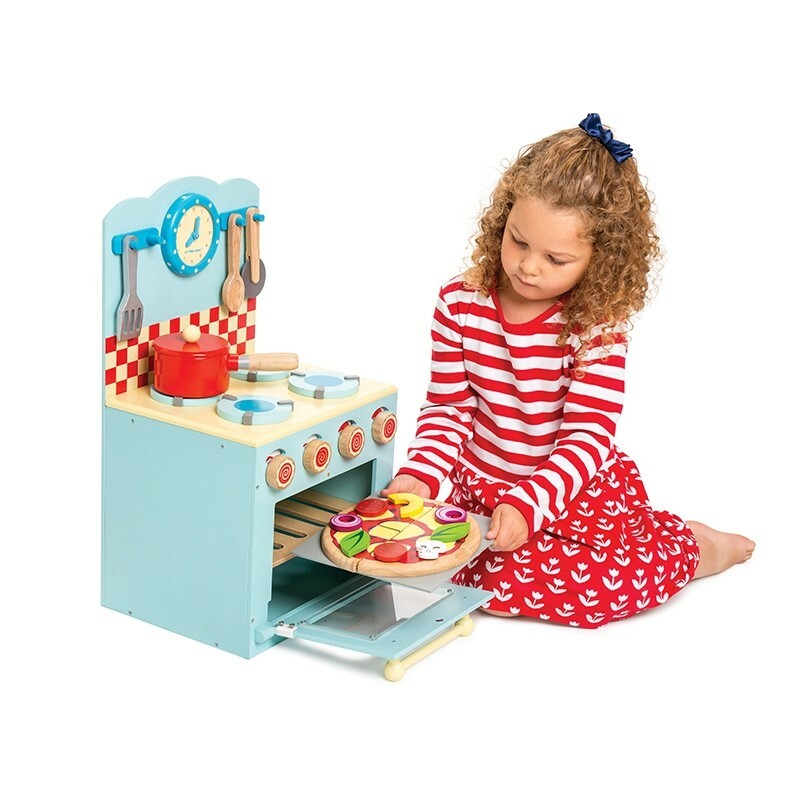 Designed in the iconic Honeybake colours this wonderfully painted wooden play oven and hob set will make meal times incredibly fun! 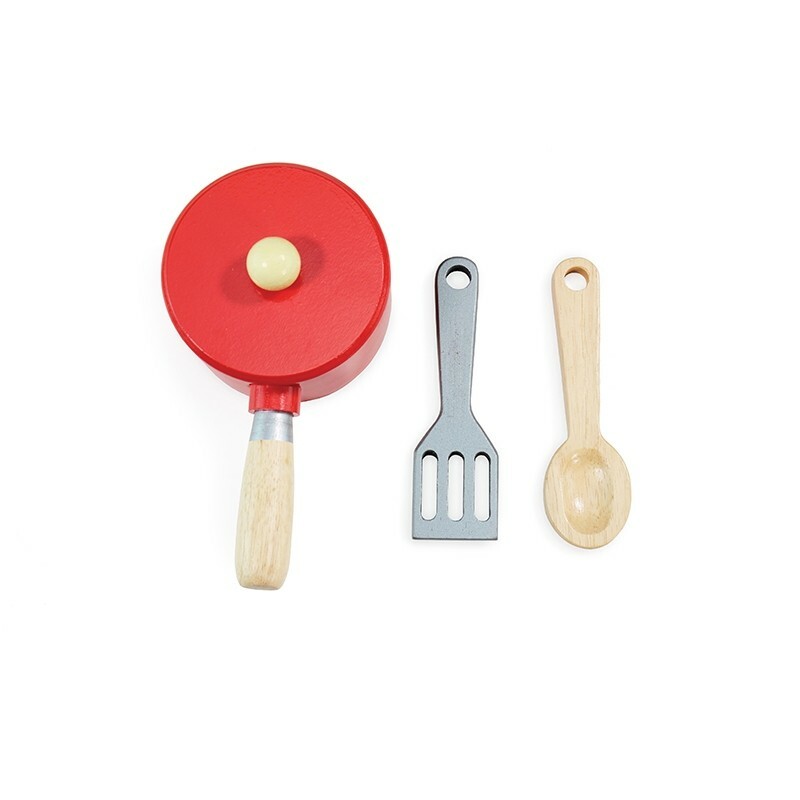 Its unique design pays great attention to detail, enhancing the imaginative play experience.